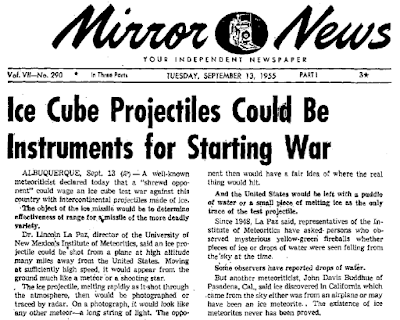 A well-known meteoriticist declared today that a "shrewd opponent" could wage war against this country with intercontinental projectiles made of ice. 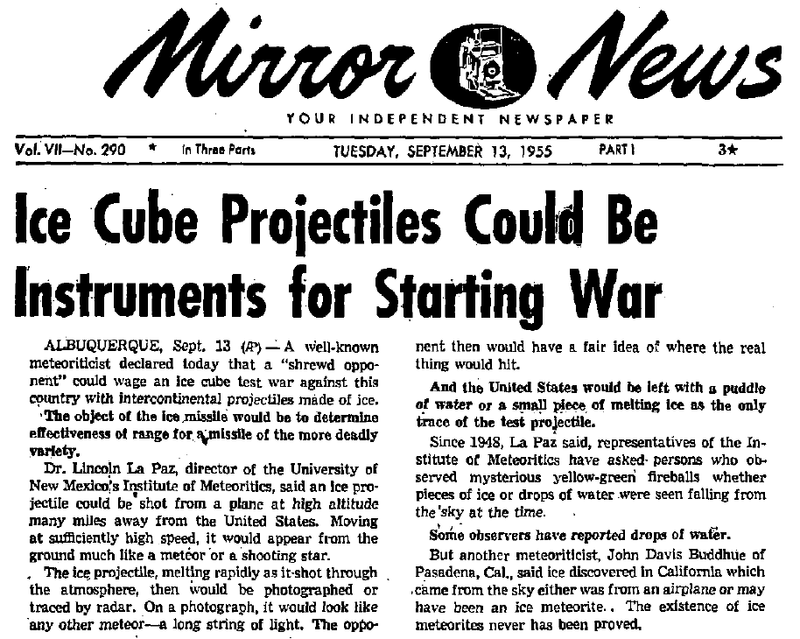 Dr. Lincoln La Paz, director of the University of New Mexico's Institute of Meteoritics, said an ice projectile could be shot from a plane at high altitude many miles from the United States. Moving at sufficiently high speed, it would appear from the ground much like a meteor or a shooting star. Russian Space Weapon Now in Orbit?